For meeting minutes and related materials, click on Meetings above. 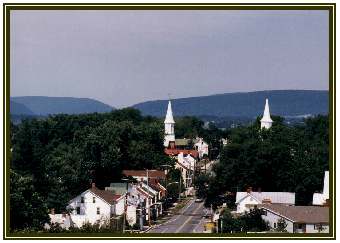 Mission: To represent the community of Jefferson in work with the Maryland Department of Transportation in a project to improve Jeffersons main street. The improvements are called streetscaping and include improvements to the curbs, gutters, and pavement of the roadway, as well as pedestrian safety, lighting, landscaping, and historical highlights along the roadway. Method of Operation: The task force shall consist of volunteers from the community of Jefferson, with the support of the Jefferson Ruritan Club. Members of the task force shall elect the following officers: president, secretary/treasurer, and chairpersons of the following standing committees: publicity, communications, database, and MDOT liaison. Meetings shall be conducted according to Roberts Rules of Order. The operating funds for the task force are expected to be minimal and will come from the donations of individuals, businesses, and organizations. As part of the fiscal year 2014-2019 Consolidated Transportation Program (CTP), the State of Maryland has programmed funds to complete design of a Community Safety and Enhancement Program (CSEP) streetscape project in Jefferson. The CTP includes $1.7 million in additional preliminary engineering funds for the project in FY 2014-2016. The project will include enhancements along MD 180 (Jefferson Pike) between US 340 and Old Holter Road in Jefferson. The State Highway Administration (SHA) looks forward to continuing to work closely with the community as design moves forward on this project. For information about Phase 2 meetings, including minutes and proposed agenda for the next meeting, see the Meetings page. First meeting of Phase 2 was held on Feb. 24, 2005. For dates of all past meetings, see Calendar page. The list of task force members for phase 2 will be posted on the People page along with contact information for state and local officials and utility companies. For more information, contact Jim Carpenter, 301-371-5263, or Ben Ahalt, 301-473-5823. For minutes of meetings, see the Meetings page. For documents of Phase 1, see Documents page.